Sports programming has an extensive and unrivaled reach. Comcast Spotlight can pair your message with the live sports content the audiences in your market crave. That way, you’ll get all the local fans you need with precision and reliability. Put the marketing muscle of sports to work for you. Savvy media professionals know that sports isn't just a program genre. It's an integral part of American life, with appeal that extends across age, gender and geography--reaching large, passionate audiences. A team of industry experts explains why the Olympics have been such a success, and why sports is an especially effective marketing tool for advertisers, offering higher ad recall and huge social media engagement. The NBA…it’s where the drama between LeBron & Steph happens. It’s where The Greek Freak and Antony Davis happens. It’s where KD happens. It’s where fantastic happens. The NBA Playoffs dominate cable during the post-season from April-May with 50+ Playoff games. Comcast Spotlight can offer you a prime spot in the most important games from the NBA Quarterfinal rounds through the NBA Conference Finals on TNT and ESPN plus the All-Star Weekend in February. Let us help you reach NBA’s highly engaged audience, wherever and whenever they’re watching video.1 Contact us today to put your business in center court. *Source: Nielsen NPower. Reach of NBA Playoffs on Cable Nationwide. From the lawns of the All England Club to the greens of Augusta…from the hard courts in Queens to the hardest course on Scottish links…Comcast Spotlight will be covering every swing. Comcast Spotlight can align your brand with some of the most prestigious tournaments across golf and tennis to help you reach incredibly affluent audiences.1 With coverage across events like the PGA Championship and Wimbledon, we’ve got you covered. Learn more about the consumers we can help you reach. 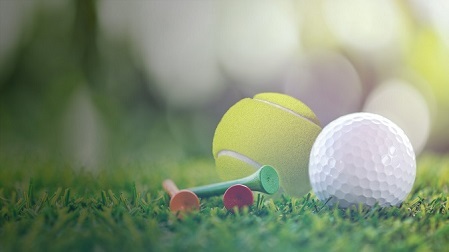 Golf and tennis reached over 81 million viewers quarterly in 2018.2 Total minutes viewed in 2018 were up 4% year-over-year among all persons and among P25-54.3 Reach this growing audience by booking your plan today. Coverage throughout the summer will keep you top of mind with golf and tennis fans. Call us before time runs out! Year in and year out the NFL delivers the best ratings, biggest excitement, and highest engagement on the greatest stage in sports. 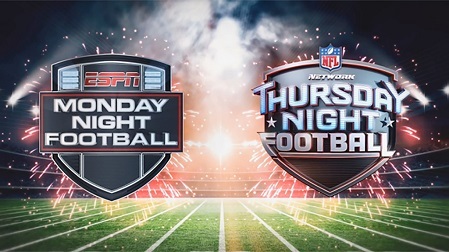 With nearly 40 of the NFL’s biggest games, Comcast Spotlight provides incredible access to your customers in Monday Night Football on ESPN and Thursday Night Football on The NFL Network. Now Comcast Spotlight can help you reach football fanatics on any screen with Premium Digital TV and Premium Digital Video advertising. After a long college football season, the four highest-rated teams will line up against one another to crown a National Champion. From December 15th, 2018 through January 7th, 2019 college football fans will be watching 33 bowl games featuring 66 of the best NCAA teams from across the country, all airing exclusively on ESPN, ESPN2, and FS1. It all starts as twelve top teams match up in the New Year’s Six Bowls. The New Year’s Six, only on ESPN, is made up of the Peach Bowl, the Fiesta Bowl, the Rose Bowl, the Sugar Bowl, this year’s College Football Playoff Semifinals, the Orange Bowl and the Cotton Bowl - all culminating with the 2019 College Football National Championship in the Bay Area. Comcast Spotlight will align your brand with the crème de la crème in college football to reach an affluent* and incredibly loyal and passionate audience, watching the games on all devices. Contact Us Today to become Bowl Eligible. Adults 18+ who have watched any college football bowl games on cable in the past year. 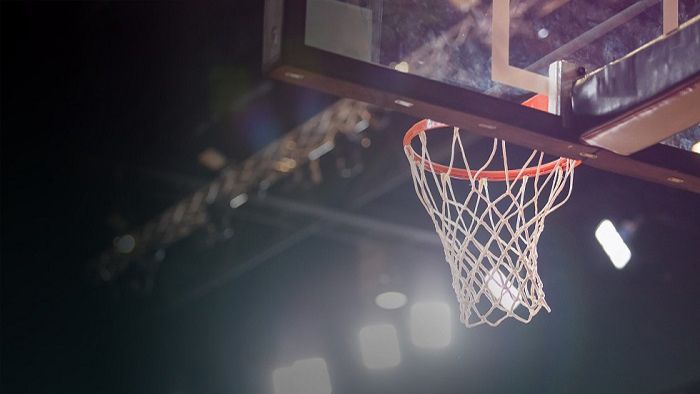 From the First Four® to the Elite 8®, Comcast Spotlight gives you access to 43 NCAA March Madness games, aligning your brand with the hype of college hoops' biggest event of the year. Between March 19 – March 30, Comcast Spotlight can put your business in front of college basketball’s massive audience across all devices, wherever and whenever they're watching video. NCAA® and March Madness® are trademarks owned or licensed by The National Collegiate Athletic Association. TBS, TNT and truTV are trademarks of Turner Broadcasting System, Inc. A WarnerMedia Company. All Rights Reserved. Thirty-one days of intense action takes place June 7 - July 7, from the Group Matches to the Round of 16, to the Quarter and Semi-Finals, culminating with the World Cup Final where one team will be declared World Champion. With 30 live matches across FS1 and FS2, Comcast Spotlight will align your brand with FOX Sports broadcast of the FIFA Women's World CupTM. You'll reach this captive audience everywhere they're watching. The 2015 FIFA Women's World Cup™ topped over 750 Million viewers, making it the second most watched FIFA competition after the FIFA World Cup™.1 Learn more about the audience watching FIFA Women's World CupTM with our latest infographic. 1-FIFA. Record-Breaking FIFA Women's World Cup tops 750 million TV Viewers. Accessed 1/31/19. Whether you need to reach viewers across the country, in one region or city, or even just in your neighborhood, we can help make it happen. Our geographic targeting tools put your marketing muscle to work where your potential customers live, work and watch their favorite teams. Your business can engage more sports fans with television and digital video advertising than with any other media source. Our offerings range from sport-specific networks that serve fans around the clock with live coverage, highlights and analysis programming, to entertainment networks that feature high-profile sports coverage. From regional to national sports networks, our media experts know your market like no one else. Sports programming adds up to well over 80,000 hours per year, on dozens of channels like ESPN, FS1, NBCSN, FOX Sports regional networks, Comcast SportsNet, Golf Channel, NFL Network, the Big Ten Network, TNT and more. Your Comcast Spotlight team will work with you, crunching the numbers to find the sports your potential customers are most passionate about and to develop a strategy to reach them. Comcast Spotlight delivers every major sport across multiple screens, giving advertisers multiple ways to reach fans. Our 2019 Sports Planner and Guide can help ensure you never miss a crucial chance to reach your audience. The world of sports marketing changes fast. Stay up to date with the trends and opportunities in reaching fans with Comcast Spotlight’s insight-forward sports reports. "We believe preventative care is the standard of care. To get the word out about our practice, we rely on Comcast Spotlight."